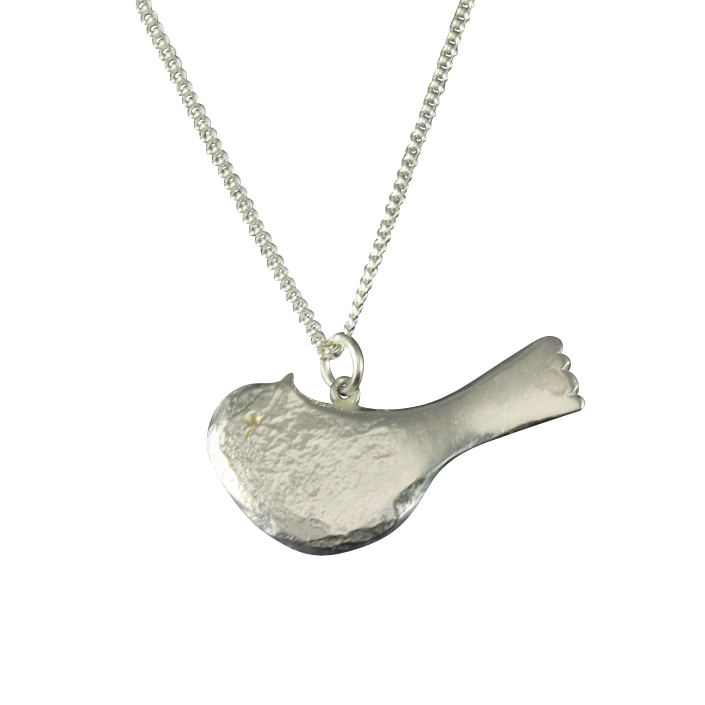 A new product this year a cheeky chiffchaff sterling silver pendant. 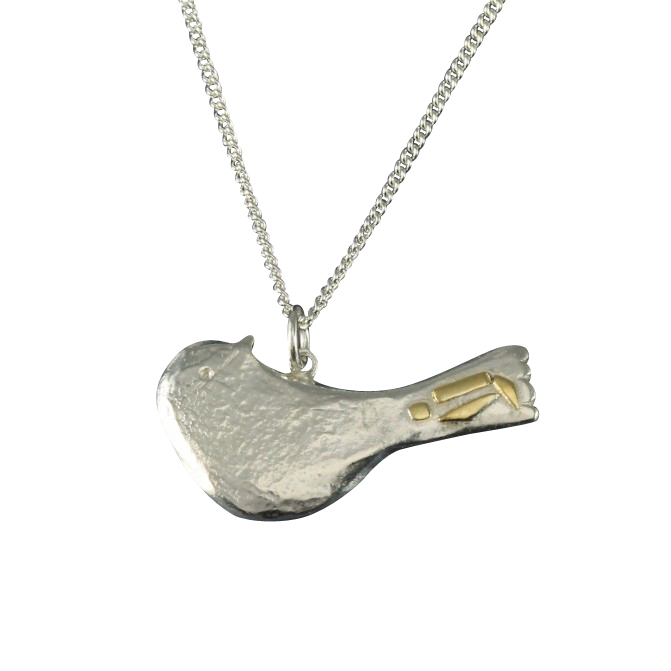 The bird measures 13mm from beak to end of tail and 13mm from top of head to belly, it has a melted texture on the head, leading to a polished tail, the reverse is clean with a satin finish, all finished by hand. The chain is a fine curb 45cm(18″), adjusting to 42cm(16″) or 50cm(20″) adjusting to 45cm(18″). 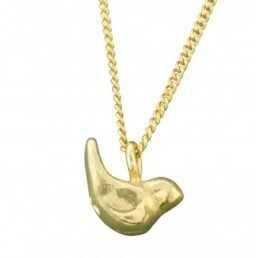 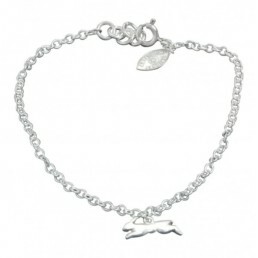 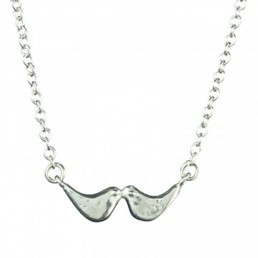 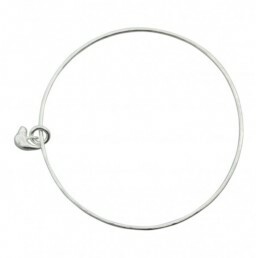 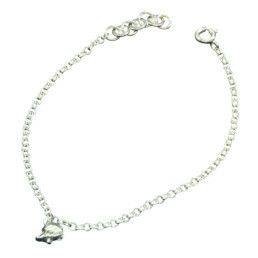 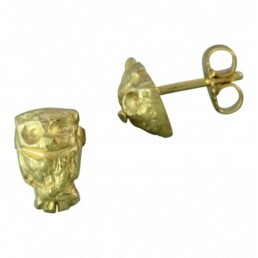 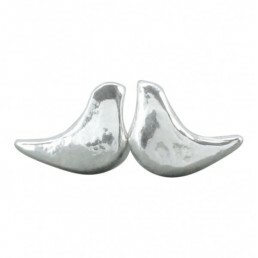 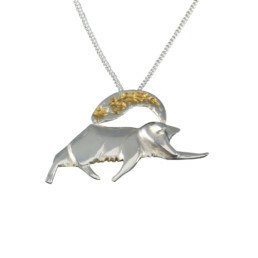 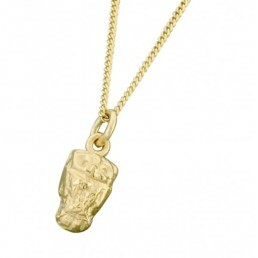 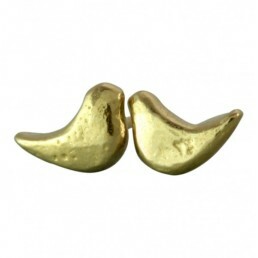 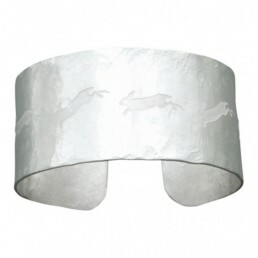 Their is a choice of all silver or silver with 18ct yellow gold detail on the tail. 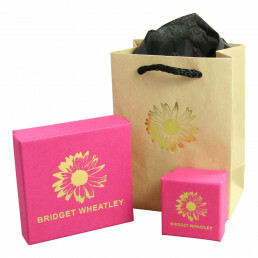 The ChiffChaff will sit very well in a Kraft(brown) coloured gift box.